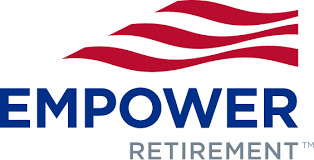 The WP&BC Denver Chapter invites you to our January luncheon, featuring Joan C. McDonagh, J.D, Senior Director, Legislative and Regulatory Affairs at Empower Retirement. Congress has been hard at work on a major tax bill and this session will provide a general overview with a focus on its impact to retirement plans. It will also cover the regulatory outlook for retirement plans for 2018, including the potential impact of new leadership at the Department of Labor. J oan C. McDonagh, J.D. Joan McDonagh, who received a J.D. from American University Washington College of Law in 1985, practices law in the employee benefits area. She has worked for the organization since 2004 and for its wholly owned subsidiary EMJAY Corporation since 1988. 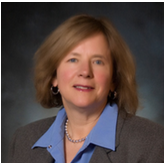 Joan’s areas of expertise include ERISA compliance with an emphasis on fiduciary requirement. Joan is a member of the Wisconsin Bar Association. She is on the Government Relations Committee of the Society of Professional Asset-Managers and Record Keepers (SPARK) and formerly chaired the Public Policy Committee of the Defined Contribution Institutional Investment Association (DCIIA). She is also a member and past Vice President of Wisconsin Retirement Plan Professionals Ltd.
Joan has written numerous articles and has presented a variety of seminars on retirement plan issues. She is a co-author of the 401(k) Answer Book, part of the Aspen Publishers’ Answer Book series. This program is designed to qualify for Continuing Professional Education, Colorado Continuing Legal Education and ASPPA continuing education.